You offer exciting new products and services in the hospital and healthcare industry. Now you just need people to find you. Chances are you found us via search. Let that be a strong litmus test for who makes your short list of suppliers. In the internet age, people use search engines as their primary means of finding businesses. So, if your hospital and healthcare business isn’t showing up in the search results you’re going to find it more difficult to attract new customers. By using search engine optimization, or SEO for short, you can improve your Google rankings and create a healthcare marketing plan that greatly increases your web traffic. As a healthcare business, you understand that your industry has some unique challenges. Wouldn’t you like to work with a business that’s familiar with the healthcare industry and has experience working with businesses like yours? At Russell’s Group, our team members are healthcare SEO experts. We’ve been helping hospitals and healthcare businesses thrive online for years, and we want to do the same for you. Some of the clients include top 10 US hospitals like Houston Methodist Hospital and Barnes Jewish Hospitals Career Center among many others with #1 rankings. Our strategies have helped clients just like you achieve their online marketing goals. How Can Russell’s Group Help with Your Healthcare SEO? Russell’s Group employs a number of different techniques to help you climb up the Google rankings and get found by the right people. A good healthcare SEO strategy starts with the right keywords. Our team will work hard to find the best keywords for your business to rank for. These keywords will not only target the right kind of people, they’ll also bring in large amounts of traffic. Once we’ve found the right keywords we’ll start creating content around those keywords to help you show up at the top of the search results. This content is not only optimized for SEO, it’s also engaging, interesting, and geared towards turning your readers into customers. Search engines are starting to focus more on local search. These results display businesses and services located near you. So, if someone searches for healthcare related keywords they’re likely going to be shown related businesses near their current location. 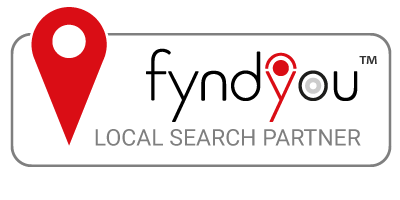 We feel so strongly about local SEO we are resellers of the powerful fyndyou® program, which shown incredible results. When it comes to healthcare SEO, local search is extremely important. Our team knows how to optimize websites for these kinds of searches and get you showing up on the first page of Google. That way when potential customers perform a search they’ll find you. Investing in a healthcare SEO plan will provide you with a number of different benefits. The main benefit is increased exposure. You’ll be able to reach an entirely new audience who may not have been aware of your business before. SEO leads to more web traffic, which naturally increases the number of potential leads and sales you can receive. Our clients have consistently seen increases in revenue after optimizing their websites for SEO, and we’d love to help you achieve the same types of results. Do you want to increase your Google rankings and start driving more traffic to your website? We’d love to show you how our healthcare SEO strategies can help you grow your business. Call 502-222-8099 or fill in the contact form to get started.